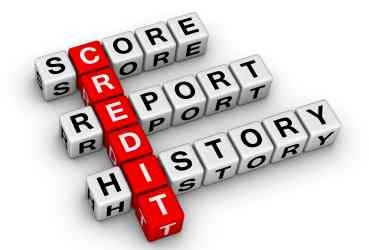 If you are planning on making a purchase with a loan, you will need a good credit score if you want the best terms. In order to get the best results as you attempt to improve your credit score, or avoid letting it become a problem, you need to pay attention to the two most important aspects of your credit score: Payment history and credit utilization. The most important factor related to your credit score is your payment history. Since your credit history is based on the way you handle credit, it only makes sense that the way you meet your credit obligations is the most important factor in determining your credit score. Your payment history encompasses a few items. One of the items we think about most often when payment history comes up is on time payments. When you miss a payment, or pay late, your creditor can report it to the credit bureaus. In the case of your credit card, there might be a month-by-month record, showing which months you were late, and which you were on time. In addition to credit obligations, you payment history might also include information about bankruptcy and foreclosure. In some cases, if you miss several payments, a non-credit service provider (like a utility) might report your delinquency to a credit agency. If your account goes to collections, that is mentioned as well. Your credit history accounts for 35% of your credit score. If you have regular problems with paying on time, it will come out on your credit report, and, in turn, influence your credit score. The next more important factor, accounting for about 30% of your credit score, is credit utilization. This is the amount of your available credit that you are using. Normally, credit utilization is expressed as a percentage. If you have a total credit availability (across all credit cards) of $4,000, and your balances add up to $3,000, then your credit utilization is 75%. You are using 75% of your available credit. How much debt you have matters. If you have a lot of debt, you look like a risk, since it’s clear that you might be on the verge of becoming over-leveraged. In most cases, it’s a good idea to keep your credit utilization to 30% or less. It’s even better for your pocketbook if you pay off your balance each month. Those who engage in savvy strategies to maximize their credit card rewards and earn cash with cash back credit cards can run into a problem with credit utilization, however. When you look to get the most out of your credit rewards, the plan is often to put all your expenses on the credit card. As long as you stay within your budget, this isn’t a problem. The money stays in your account, and you can pay off your entire balance at once. If you are using a rewards card, this helps you rack up the rewards faster, without paying interest. As a result, you get more for your credit. However, the issue is that when you put all your expenses on your card, it can start to look as though you have a high credit utilization, depending on what point during the money your credit card issuer reports on your balance. If you have a credit card with a $3,000 limit, and your monthly expenses on the card are $2,500, you’re looking at a credit utilization of 83.33%. If the credit issuer reports this information the week before you pay off the card on a regular basis, it looks as though you have a high credit utilization. If you plan to make a major purchase (such as a home or a car) with a loan, you’ll want to make sure you build your credit score for the best terms. Among the best strategies for improving your credit score are making on time payments and paying down debt. Since these actions have the largest impact on your score, you can see better results when you focus on those items. When you know that you will need a good credit score, plan ahead. You may have to forgo your credit rewards strategy for a couple of months, and make sure that your payments have been on time. Look ahead with your finances, and make a plan. While payment history and credit utilization aren’t the only factors involved, together they account for 65% of your credit score. Keep that in mind, and do what you can to improve your situation. It will help your credit score and your finances. Great tips. I’m excited to see how my credit score has improved over last year.